During our 3 month trip to Vietnam, one question plagued us for our entire trip. 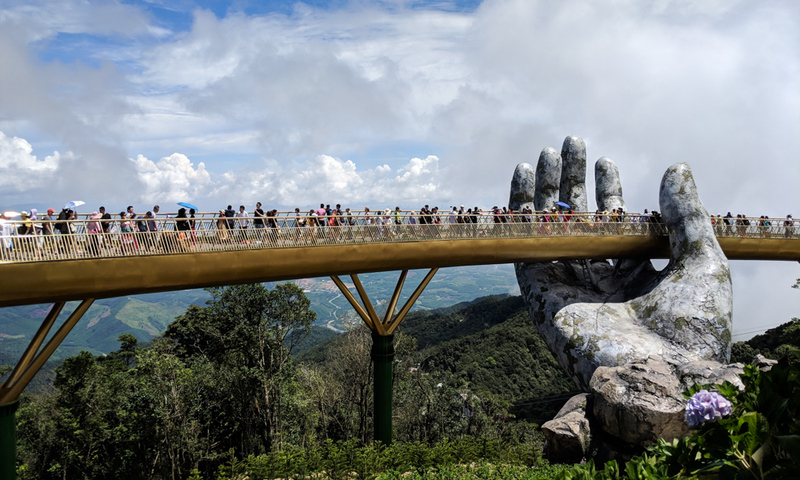 “Are you going to that new giant hand bridge?” The Golden Bridge in Sun World Ba Na Hills had just opened in June of 2018 and photos of those giant, ancient-looking hands were flooding people’s social media feeds. We weren’t planning on going. We read that it was a part of a strange theme park which made us not really even want to go. But we felt like we couldn’t NOT go because of all the hype. And in attempting to plan our visit we had an incredibly difficult time finding any relevant information. We were so confused about even what kind of place we were going to and what to expect when we got there. 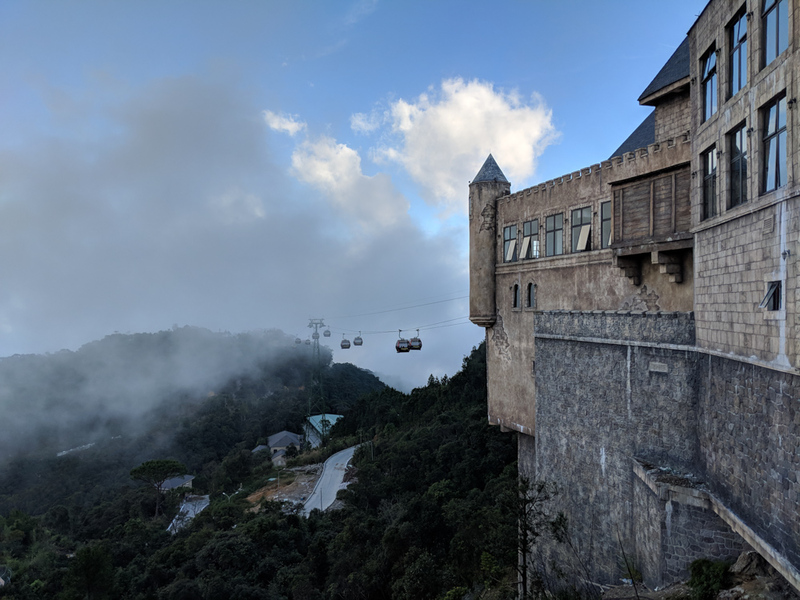 I’m a bit sad to report that after spending an entire day at Sun World Ba Na Hills, I’m still pretty confused about the entire experience. 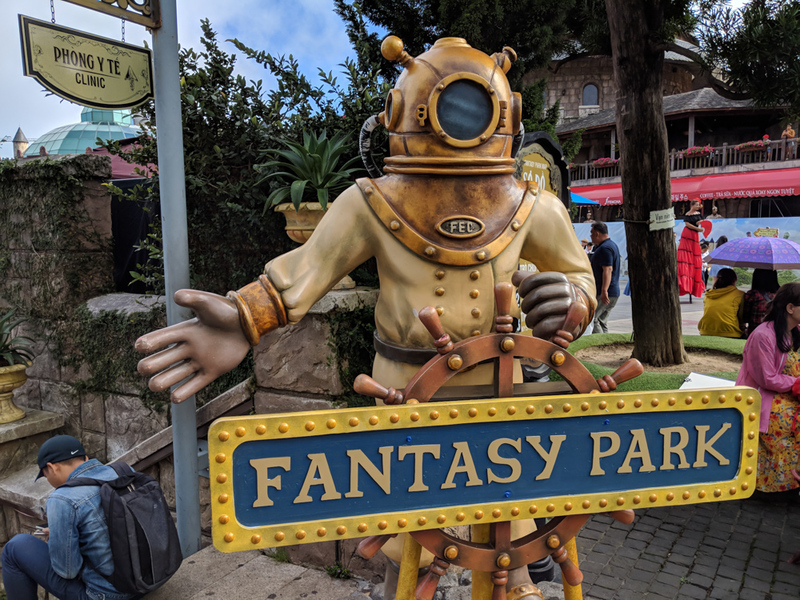 I’ve pieced together all of the information I could gather (other than the hours, those remain a bit of a mystery) and I’ll do my best to explain what you should expect in this bizarre adult theme park. Enjoy! 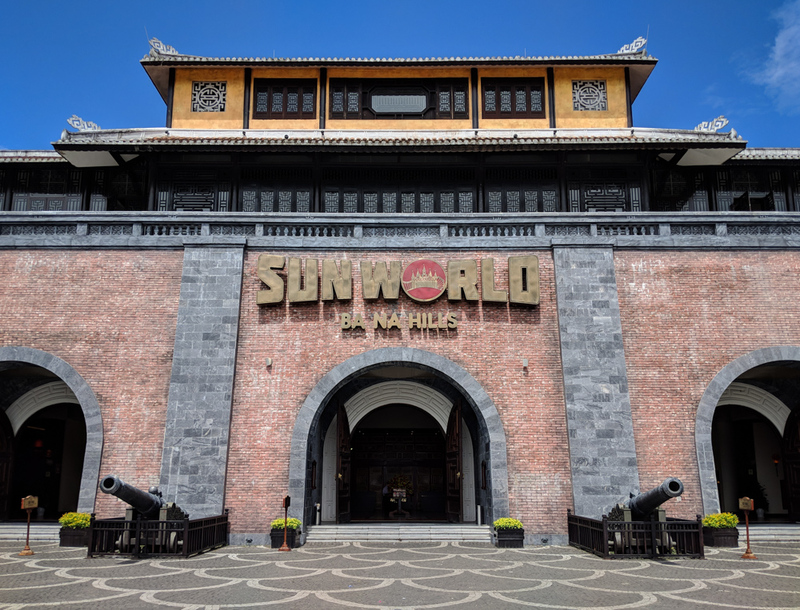 What is Sun World Ba Na Hills Exactly? Why is Sun World Ba Na Hills Famous? Sun World Ba Na Hills is a little difficult to explain. It’s a theme park, a bit like Disney’s Epcot, but way more confusing and strange. The park sits at the top of a mountain and you’ll need to take a cable car (or two) to get there. There are several different areas of the park. 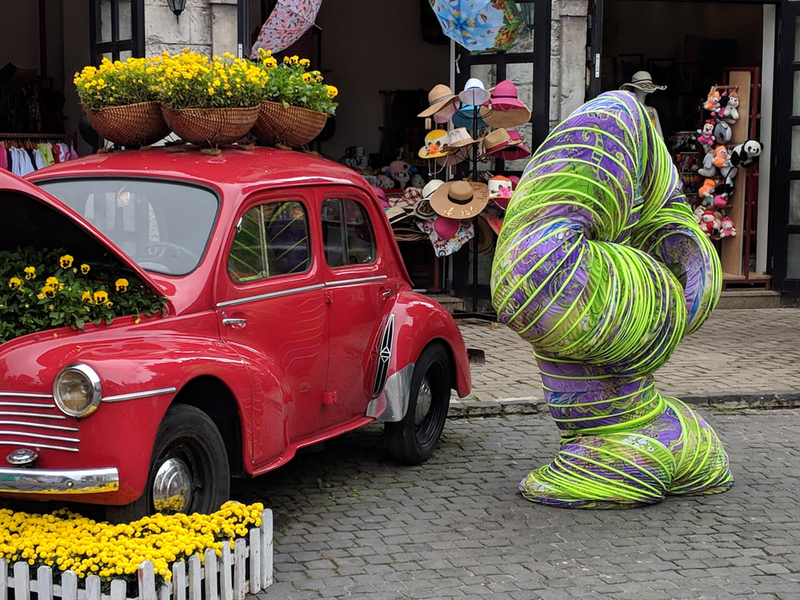 You can explore a French chateau with a wine cellar and a garden (these are an extra fee to enter), then wander through a French town with gothic-style architecture, complete with a large cathedral. There’s a “spiritual zone” area with pagodas and Buddhas for worship. There’s a massive beer garden and a Fantasy Park filled with video games and roller coasters. And foreigners are employed all over the park so that Vietnamese tourists can get their photo taken with them. Oh, and of course, there’s the giant hand bridge. It looks ancient but it was only just completed in the summer of 2018. If you’re thinking “um, what?” trust me, it’s 100 times weirder once you see it in person. Sun World Ba Na Hills appears to be quite popular with Vietnamese and other SE Asian tourists. They like to experience European culture, see the gothic architecture, and enjoy watching foreigners dress up and perform. But the Golden Bridge is what has really put Sun World Ba Na Hills on the map with foreign tourists. 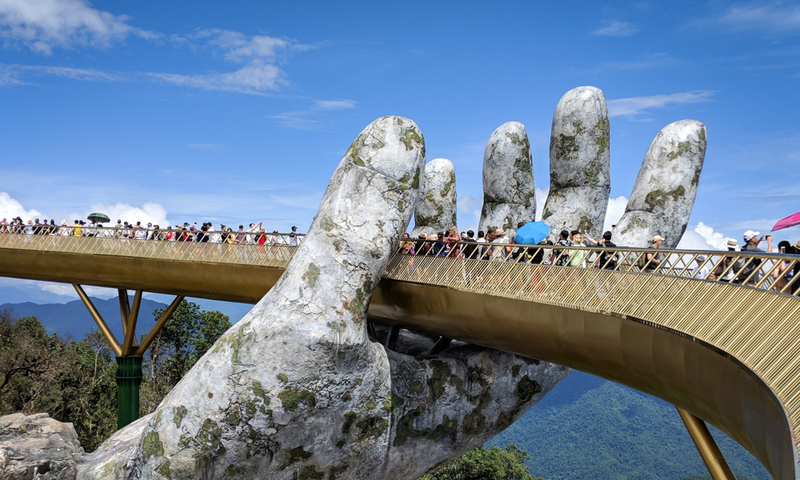 If I had to guess, Da Nang is going to become a much more popular tourist destination in the coming years because of that bridge. The base of the cable car that will take you to Sun World is located about 26 miles west of Da Nang’s city center. It should take you about 45 minutes by car or motorbike. 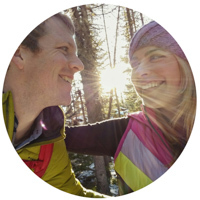 There are several ways to get there – rent a motorbike, hire a driver, take a shuttle, or join a tour. If you rent a motorbike, expect to spend about 150,000 VND for a 24 hour rental period. If you are not used to driving a motorbike in SE Asian traffic, this might not be the best option for you. A good bit of the drive will be navigating the busy city streets of Da Nang. Motorbike parking is free. If you hire a driver, they will drive you to Sun World, wait for you, and then drive you back to your hotel. Get their phone number in case you are finished early or need to stay past your agreed upon time. Expect to pay between 500,000 and 900,000 VND for the car (we were quoted 700,000). This may not be the best option for you if you plan on staying all day long like we did. If you choose to book a shuttle or a group tour, those can be arranged at any tourist agency in town. Keep in mind that your group will show up at the same time as every other group so expect to battle the crowds. As I mentioned earlier, I could never find the official hours of Sun World Ba Na Hills. It appears that the first cable car ride starts at 7:30am. We arrived to the parking lot at around 10:30am on a Sunday. And we were on our way back down at 6:00pm. The cable car was still running but most of the shops and restaurants were closed and the hand bridge was nearly deserted. 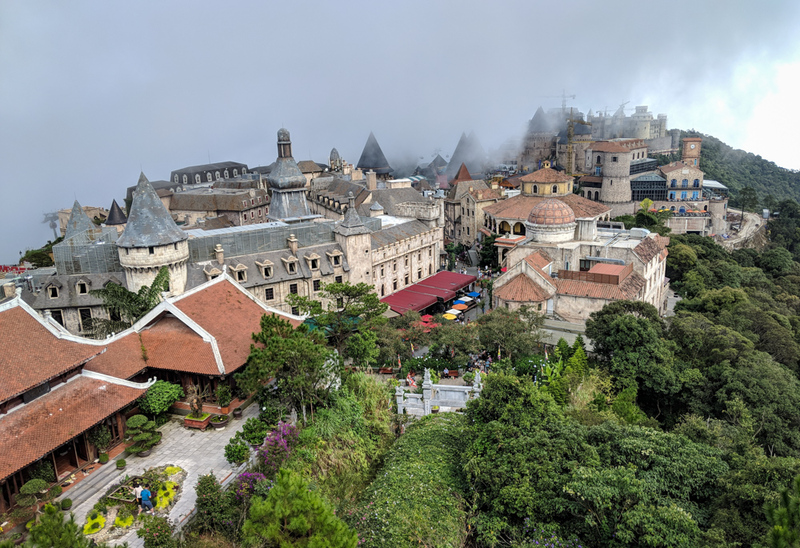 So in total we spent about 7.5 hours at Sun World Ba Na Hills and it didn’t seem like nearly enough time. Definitely plan on spending an entire day here, there is so much to see and do! From the moment you walk into the ticket area the confusion begins. 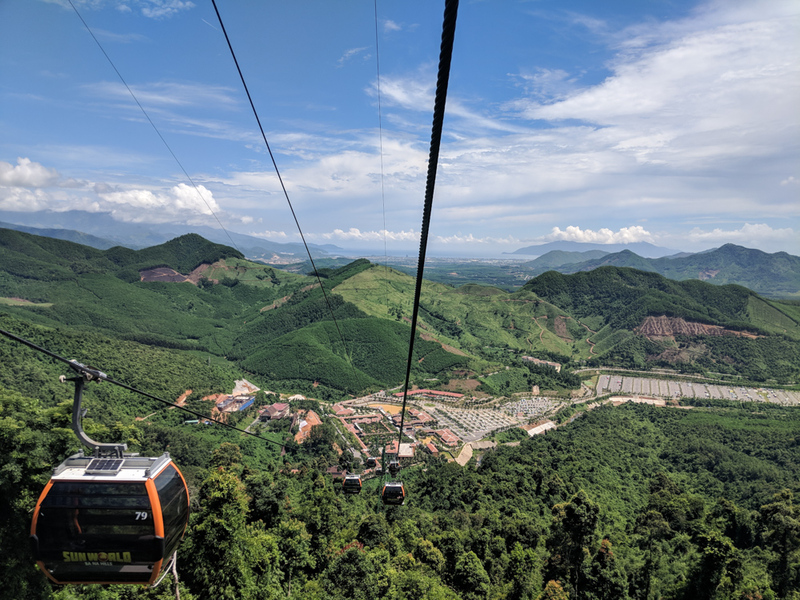 There are 3 cable car lines – Ga Hoi An, Ga Suoi Mo, and Ga Thac Toc Tien – but you’ll just buy one entrance ticket. As you make your way to the cable car area you’ll pass restaurants, random bridges and buildings. You’ll walk through a mini Hoi An town, until finally you arrive. If the option to choose what cable car you’d prefer is available, I have no idea. We were ushered to the one on the far left – Ga Hoi An. Our usher chose right because the Ga Hoi An cable car led us directly to the Golden Bridge as our first stop. At that point it was around 11:00am on a Saturday and the bridge was absolutely packed with tourists. The cable car in the center takes you to the French chateau and Le Jardin d’Amour which are an extra charge on top of your entrance fee. And a funicular connects this area to the Buddha statues and Ling Ung Pagoda. The brochure states that the funicular runs from 8:00am – 5:00pm, and runs until 6:30pm during peak season. The brochure states that the cable car system runs from 7:00am – 10:00pm. The park is huge. You will take a series of cable cars but for the most part you’ll need to walk. Expect to cover probably 3-5 miles during your visit. Anyone with mobility issues or disabilities will find navigating the park to be quite difficult. The Golden Bridge is certainly a highlight and not to be missed! Plus it’s huge and pretty impossible to miss. If you want to snap some photos with fewer tourists in them, head to the bridge around 5:30pm. You’ll likely only have to share it with a few others. From the Golden Bridge you can continue up another cable car to the Mercure Banahills French Village. It is filled with gothic-style architecture with the highlight being the large cathedral in the center. Most of the other buildings are restaurants serving a variety of different cuisines. The restaurants are pricey but the food is better than you’d expect. From the village you can walk up to the “spiritual zone” where there is a pagoda with lovely views of the park. Fantasy Park is pretty much a run-of-the-mill video arcade. Except that most of the games and the rides are covered in the price of your admission to the park! You can spend several hours in here – playing the arcade games and enjoying the interactive rides. Be sure to try the bumper cars and try the ride in the center of the arcade that raises you to the ceiling and drops you back down! Keep in mind that most of the rides feature really outdated animatronics. But considering that they’re free, it’s worth trying them out for a few laughs. Near the entrance to the Fantasy Park is the alpine slide. It’s also included in your entrance fee but expect to wait in line. The Beer Garden actually looks quite similar to one that you’d find at Oktoberfest in Munich. But not quite as lively. 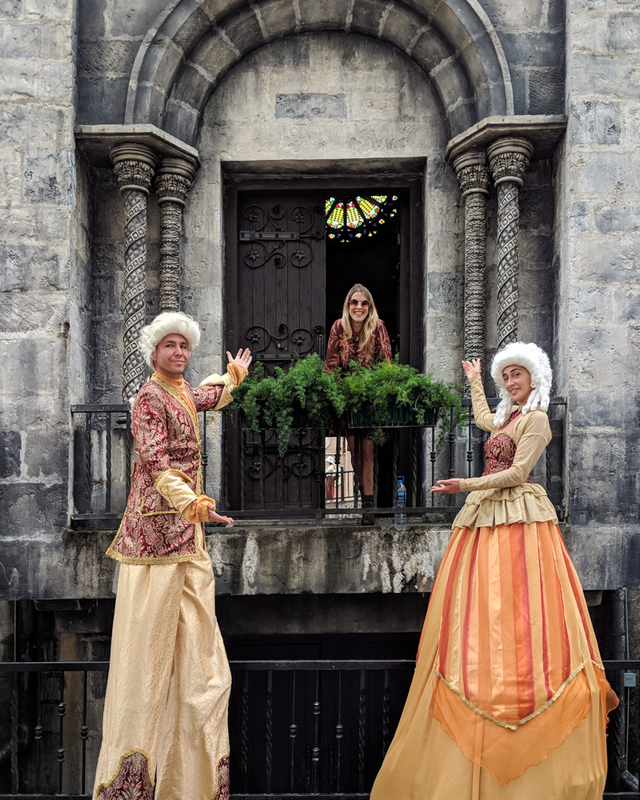 If you visit during April 30 – December 31 you can catch the B’estival celebration. 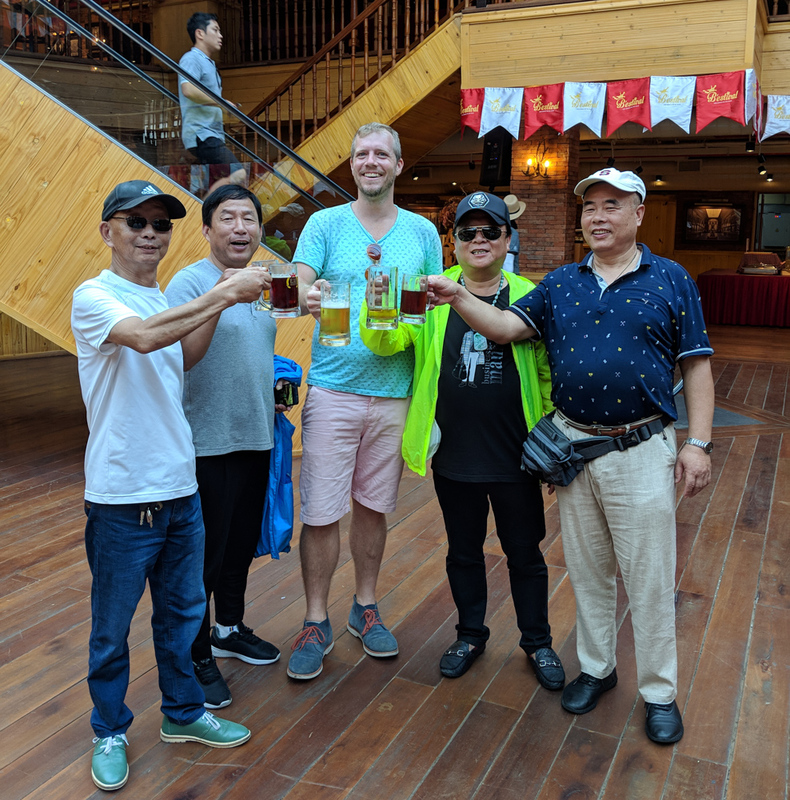 It’s not exactly a festival but you’ll find both Vietnamese and foreign employees dressed up in typical Bavarian attire in the giant enclosed beer garden. It’s a fun place to eat, drink, be merry, and watch the performances on the main stage. 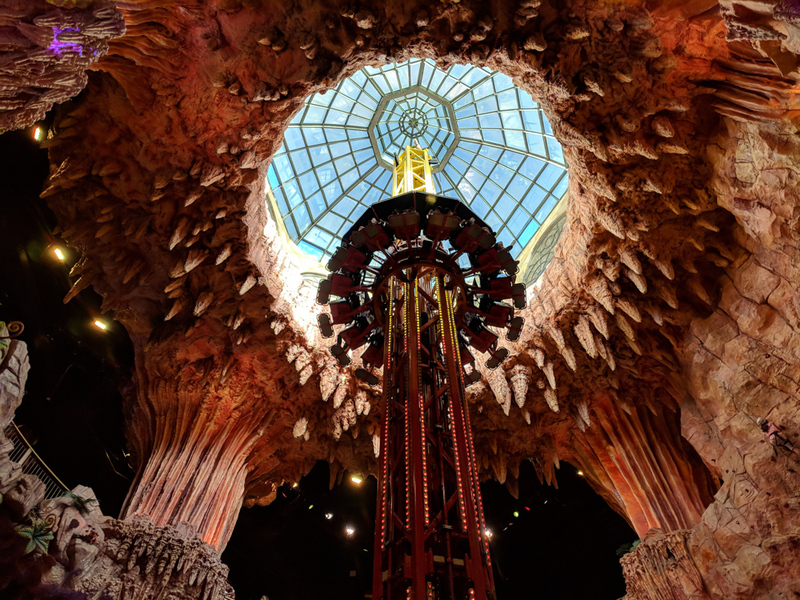 Enjoy your adventure at Sun World Ba Na Hills!